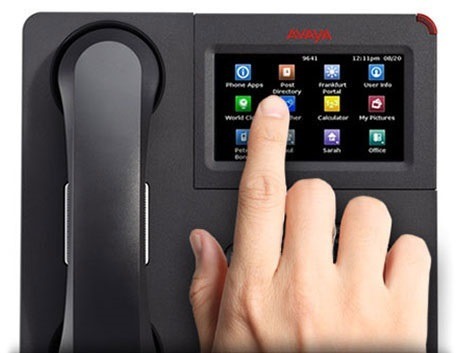 Avaya is trusted by businesses of all sizes as the best telephone system provider in Australia. Due to its advanced security and reliable performance Avaya is the preferred system in the corporate sector. It is extremely important for businesses not to have any downtime due to a phone system crash. Not only does it cost in terms of lost profit and downtime but it reflects upon the reputation of the business. This is yet another strong reason to use Avaya, a quality telephone system designed to perform to high level. Fixtel’s team comprise of telecoms specialists with more than 25 years of experience. Our team is Australia’s leading Avaya service provider and we specialise in installation for business in regional areas. Geelong is a major regional business centre in Victoria. As such we have worked with many local corporate businesses in the planning, installation and repair of Avaya technology. 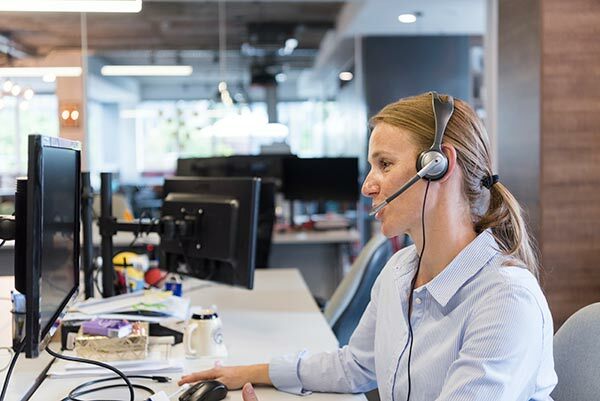 Whether your business is large and needs complex private branch exchanges (PBX) to connect to multiple sites. Or a smaller company needing just a few desk phones – our telecom team will work out the best installation plan for your needs. In either situation it is vital the right setup takes places for your company’s success. Internet technology has made such advances to the way company phone systems interact. This means it easy to interlink multiple locations from all around the country. And although your business will need to setup advanced technology, whilst the outlay may be more than years ago, the cost saving to your communication expenses are massive. This is also particularly useful to regional corporate centres such as Geelong. Some of the largest Australian companies located in Geelong use these advanced telecom systems. As such this has increased demand for telephone system support in Geelong. Fixtel provides a strong team in Geelong to respond to all support requests and can deal effectively with all issues – quickly and efficiently. Over the years the external design and features have dramatically improved. What this means is because the phones are greatly improved they do not need upgrading often. There are currently 16 Avaya phones to select from. If though your business needs to upgrade and expand older devices, then it is important to make sure all systems can interact as normal. Our Fixtel technicians have a thorough knowledge of Avaya systems and know how to keep new and old technology running without problems.With our experience spanning over 25 years we have worked with many Avaya systems and know how to work old and new systems together. We understand how much it affects businesses to have any downtime from system upgrades so we aim to work quickly and with as little disruption as possible. In the older days of business, companies used hundreds of outside phone lines to put a phone on every desk, creating ongoing communications cost. With the huge advancements of the internet and data it is a lot different these days.And this is because the same communications protocol that transfers data now also transferring voice calls. Voice calls can transfer easily between national and international offices, in addition to clients and suppliers. Now the major difference is the ongoing communications cost are drastically less. Businesses need to have more technology to set up, but in the long run it will cost the business much less. Our team are experts in the setup and matching technology to your business requirements. If you are thinking of a new Office phone system or wanting to see if you can save ongoing communications cost, then speak to us today. Technical problems with your phone systems can have a big effect on your business. They need to be fixed fast and with assurance the same issue will not reoccur. At Fixtel we have a Geelong technical team and they will respond immediately to support requests. The team will identify the underlying issue which can then be fixed and get your system back up quickly. Our team often diagnoses and fixes your problem remotely. But if the issue requires onsite presence, our local Geelong technicians can quickly arrive to your location. This is one of our stand out client benefits. Because it means a short turnaround time and less costly downtime for your business. Setting up your business from a relocation or expansion means a lot of planning. Often communications technology and equipment is the first to be installed. Afterall it is vital to the day to day operation of business. We can advise on correct Avaya installation planning. For instance a lot of the technology of the phone system must be installed even before office furniture goes in. Avaya is used as a preferred telecom technology by many of the world’s largest companies. It is the best choice and once you have selected Avaya the next best choice is Fixtel to install the system. Our team will install and plan the installation correctly. If your system is installed incorrectly then down the line your business will face many problems with it. It is vital to get the best Avaya Installation. Fixtel works with companies of all sizes and many different industries. We help you through the planning and installation phase. Not only do we provide best practice installation to your business but we bring years of experience and knowledge. Partner with Fixtel to get the best Avaya Installation. To have your phone system running correctly and securely needs routine monitoring. If left unchecked your telecom system may fail from a preventable fault and cause unnecessary expense and downtime. Not only should you have regular maintenance and repairs, they should be performed by experts to keep your system top notch. Fixtel’s Avaya Maintence and repair Geelong team will keep your phone system running smoothly and efficiently. We can make small tweaks and repairs which avoids the system breaking down in the future. Your system will also be repaired as fast as possible, meaning your business can avoid major disruption. Our Fixtel team acts as your in-house team and are a great solution for businesses that do not have their own dedicated in-house team. With over 25 years of experience working with small, medium and and large businesses we are the best in the business. Our expertise will keep your communication system running effectively with little downtime. And in the event of a system failure we can remotely or onsite fix the issue quickly.